It doesn't really "lack" a DAM solution - it's simply not designed that way. 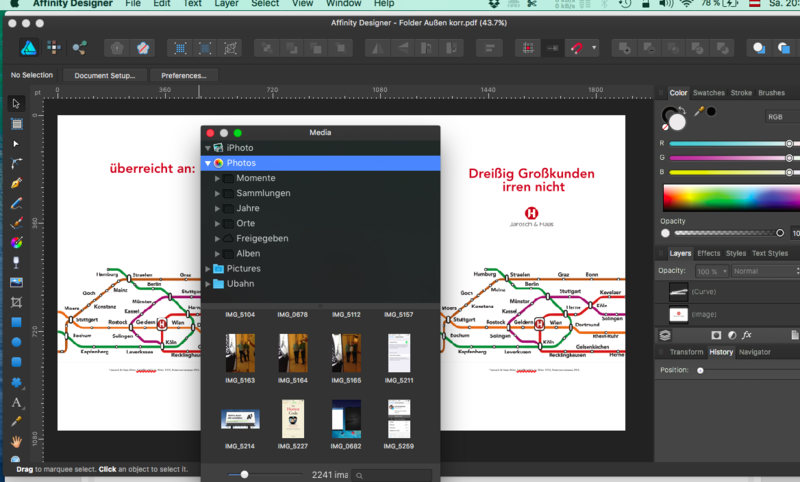 Affinity is already working on a separate cataloguing solution though - that way Windows users get the opportunity too. You can set the media within AD and AP to source pictures from Macs iPhoto App as well as to any folder you choose. Thats good enough for most of the average user. I can see thumbnails for .afphoto files in Windows 10 explorer. I wondered what was different about my installation if you cannot. Then I remembered that a long time ago I installed the FastPictureViewer codecs. http://www.fastpictureviewer.com/codecs/. That was long before Affinity Photo, but it shows the afphoto thumbnails. There are a plenty of affordable DAM solutions for Win users . Oh, I know Kirk - I've been using my own choice of DAM solution across all sorts Raw converters and image processors for years (that's why I like a stand-alone DAM solution - it allows you to be software agnostic). My point was the OP was suggesting that a Mac only solution be bundled up with AP, which is a bit - y'know - selfish! 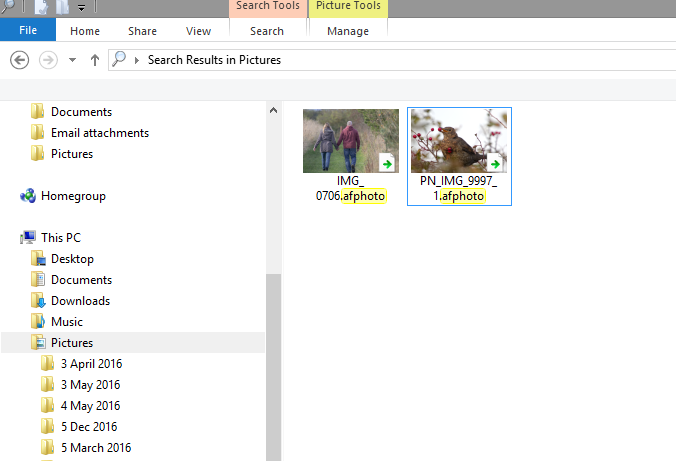 I can see thumbnails for .afphoto files in Windows 10 explorer.